May 20th, 2014 – A new report reveals that the overall physical activity levels of Canadian kids are lagging behind those of youngsters from other nations. The findings were released at the first-ever Global Summit on the Physical Activity of Children, which was held in Toronto on Tuesday. Canadian children and youth were assigned a D-minus grade for overall physical activity levels. Australia, Ireland and the U.S., who were each also assigned a D-minus, while Scotland received an F.
Above is a snippet of an article that I read and recently posted on our social media…now is this a shocker or what? 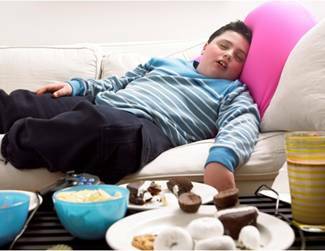 The obesity of children in North America is rampant and continues to be an ongoing and festering problem. The ultimate problem is not necessarily the immediate fact that children are not fit and tending toward obesity…it is the long term consequences of this tendency. Associated with obesity is diabetes, cardiovascular issues, arthritis and the list goes on…. What is the solution you may ask…how about simply putting 1 hour of mandatory physical activity back into our schools systems from K – 12. I understand some people will take objection to forcing their children to partake in PE but it may be an easier pill to swallow than making funeral arrangements.